Palestinians around the world, this Saturday, commemorated the sixth anniversary of the beginning of Israel's 22-day military offensive on the Gaza Strip, between 2008 and 2009 that left more than 1,400 people dead. This year's commemorations take place in the shadow of another Israeli offensive over summer -- the third major assault in six years -- that left nearly 2,200 Palestinians dead and 110,000 homeless, Ma'an reports. Until this year, the 2008-9 assault was the bloodiest Israeli assault inflicted on Palestinians since 1967, with more than 80 percent of victims believed to have been civilians. Dubbed by Israel "Operation Cast Lead", the assault began on Dececmber 27, 2008, at around 11:30 am, when Israeli warplanes launched over 100 airstrikes on Gaza simultaneously. The attacks killed hundreds of police officers and civilians, including dozens of police cadets who were attending their graduation ceremony, and injured over 2,000 Gazans on the first day alone. On January 3rd of 2009, an Israeli ground offensive began at around 9 pm, with Israeli soldiers, artillery, tanks and other units raiding the Gaza Strip by land, as the assault continued by air and sea. Israeli forces used a number of internationally-banned weapons such as white phosphorus, a chemical which enters the body and burns the skin from the inside, and cannot be extinguished with common fire-fighting agents. More than 5,500 Palestinians were injured in the assault, Ma'an further reports, while around 50,000 were displaced. The Palestinian Assembly in Germany has called Friday for mass participation in the European Solidarity Weeks organized by the European Campaign to Lift the Siege on Gaza in commemoration of the Israeli aggression of 2008/2009. The European Campaign to Lift Gaza Siege has earlier declared a set of solidarity events throughout Europe to mark the sixth anniversary of Israeli aggression on Gaza in 2008/2009. The Palestinian Assembly stressed the importance of shedding more light on Israeli war crimes and genocide against the people of Gaza during that period through European media outlets and social media networks. The Assembly also called for mobilizing international solidarity with nearly two million people in Gaza who live under unbearable conditions due to the continued Israeli siege. Along the same line, an international electronic campaign organized by the European Campaign to Lift Gaza Siege is expected to kick off next week to shed light on Gaza suffering under Israeli siege. Member of the European Campaign Raed Salahat said that the electronic campaign will be launched on December 27 until January 18 in seven European languages. The electronic campaign will occur in coincidence with the European Solidarity Weeks throughout Europe, he added. The campaign aims at mobilizing international solidarity with Gaza Strip in light of the very difficult humanitarian situation suffered by the people of Gaza for eight years under unjust siege by Israeli occupation. Salahat said that large numbers of activists and European institutions declared their intentions to participate in the solidarity campaign. The European Campaign to End the Siege of Gaza (ECESG) declared Thursday its intention to prepare dozens of events throughout Europe in coordination with a set of human rights institutions. The campaign will start from December 27 until January 17 in commemoration of the sixth anniversary of Israeli aggression on Gaza in 2008\2009. 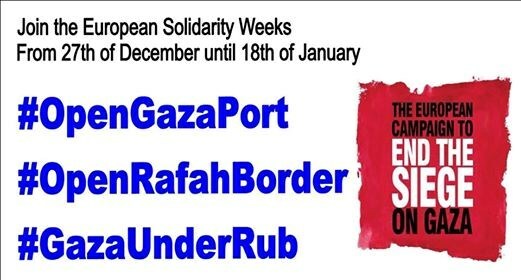 The campaign will kick off in a number of European countries in solidarity with the besieged Strip of Gaza and to demand the immediate opening of Rafah border crossing. The campaign also calls for accelerating the Strip's reconstruction, and to reopen its airport and port. In its statement, the ECESG said that Gaza Strip suffers from very difficult human situations after witnessing three Israeli fierce aggressions and a tight siege that continued for more than eight years and still is in force. The statement stressed the urgent need for an international intervention to relieve the plight of 1.8 million of people in Gaza Strip who are subjected to collective punishment. Hundreds of solidarity events have been organized in dozens of European countries by the ECESG most recently was the International Day of Solidarity with the Palestinian People. 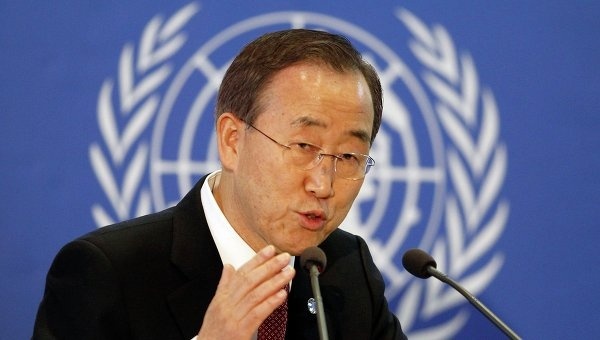 The General Secretary of United Nations (UN) Ban Ki-Moon collaborated in secret with Israel and the United States to weaken the effects of a Board of Inquiry's report accusing Israel of human rights violations in Gaza in Dec. 2008 – Jan. 2009. Wikileaks released documents on Friday that revealed that Ban wrote a letter to the UN Security Council asking its members not to take recommendations by the UN Board of Inquiry about Israeli bombings in Gaza into account. 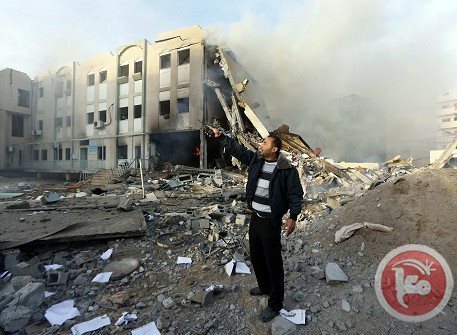 The report demonstrated that the Israeli Defense Force (IDF) had a direct role in seven of the nine attacks against buildings of the UN in Gaza strip, and accused Israel of having breached the inviolability and immunity of UN premises. According to Wikileaks, Susan Rice, White House National Security Advisor, spoke at least four times with Ban Ki Moon “to discuss concerns over the Board of Inquiry's report on incidents at UN sites in December 2008 and January 2009". The report's recommendations included the need for a deeper and impartial investigation into the recent “incidents”, and into the bombings of UN facilities. According to Wikileaks, Rice first asked Ban not to include the recommendations in the final report's summary, supposed to be transmitted to the UN Security Council on May 5. Ban responded that “he was constrained in what he could do since the Board of Inquiry is independent; it was their report and recommendations and he could not alter them”. In the second conversation, “Rice urged the Secretary-General to make clear in his cover letter when he transmits the summary to the Security Council that those recommendations exceeded the scope of the terms of reference and no further action is needed." Ban then replied that "his staff was working with an Israeli delegation on the text of the cover letter”. He confirmed in the last phone call that “a satisfactory cover letter” had been completed. In the letter, Ban underscored that Boards of Inquiry do not consider questions of legality nor make legal findings; than Israel continues to work with the UN Secretariat to adress the Board's recommendations; and that he will seek no further inquiry into matters the Board addressed which are outside its Term of Reference, specifically its recommendationnumbers 10 and 11 (see para 3). Representatives of a group of families of those killed by the Israeli assault on Gaza in 2008-9 on Wednesday confronted four Fatah lawmakers and blockaded their office in protest against authorities' failure to pay their monthly compensation. The confrontation, during which family members prevented the lawmakers from leaving the Fatah Parliamentary headquarters in Gaza, comes after 14 months of protests by the group demanding the payments they are due to be transferred. Spokesman for the bereaved families Ala al-Birawi told Ma'an that the group was holding Fatah lawmakers Faisal Abu Shahla, Mohammad Hijazi, Ibrahim al-Masdar, and Radwan al-Akhras. "All leaders must realize that talking is over, and what is wanted now is a swift decision," he said explaining that they will not leave until their demands are met. During the protest on Wednesday, one family member even attempted to hang himself, but was stopped by the lawmakers. 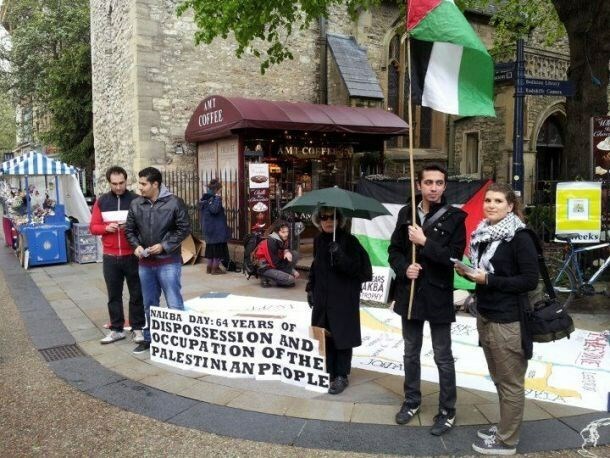 As part of more than a year of protests by the group, they have closed PLO organizations in the protest, but they were all previously re-opened after officials promised that the payments would be sent. Israel launched a major military assault on the Gaza Strip in December 2008, killing more than 1,400 Palestinians and injuring thousands more in a three-week offensive across the besieged coastal enclave. Citizens found Wednesday an unexploded Israeli missile weighing tons near a mosque targeted by jetfighters during 2008-2009 offensive. 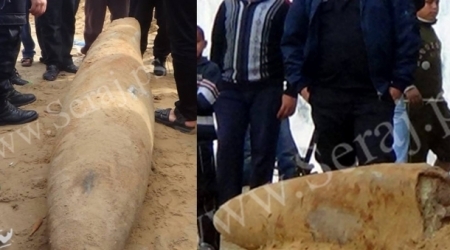 Local news website Seraj.ps reported that the missile was discovered in the Sheikh Radwan neighborhood north of Gaza city, as workers embarked on digging under the mosque for the foundations. A police bomb squad has arrived to the scene immediately upon a call from the witnesses. Israeli F16 warplanes fired three missiles at al-Nour al-Mohammadi Mosque on January 7, 2009, which resulted in its total destruction. The Israeli occupation army destroyed dozens of public facilities including mosques during the 22 day offensive, which Israel codenamed Cast Lead. Aayesha J Soni is the Vice Chairperson of the Johannesburg-based Media Review Network. Before leaving for Gaza, I was well aware of the statistics in the region which has been under siege since 2007. Fifty-four percent [PDF] of households face food insecurity with 38 percent [PDF] of the population living below the poverty line. Due to lack of fuel, [PDF] the Gaza Power Plant runs at 45 percent capacity, leading to daily blackouts of eight to 12 hours. The Gaza aquifer [PDF] provides 90 percent of Gaza's water with only 10 percent of that water meeting the standards of being suitable for consumption. However, being well aware of the numbers and seeing the devastation of an entire population living under a constant siege via land, air and sea are two completely different things. 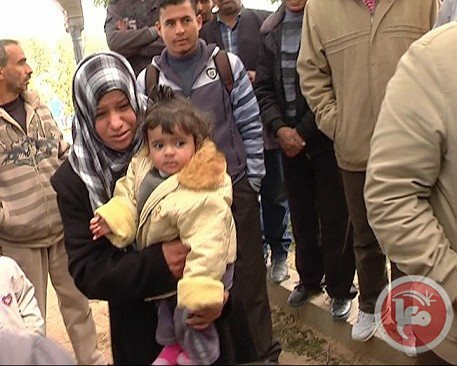 We arrived to the gruesome reality of the Gazan population -- the funeral of a 3-and-a-half-year-old girl, Hala Abu Sbeikha. She had been martyred by an Israeli strike on her home. During the Gaza massacre of 2008-9 it was widely circulated on the news that 313 children had been killed. So it seemed appropriate that the world forgot that Israel had murdered babies. For me, too, 313 had become merely a number to use when trying to expose the racist ideology that governs Israel today -- Zionism. I had forgotten what this number meant. I, along with the rest of the world, had forgotten that 313 little angels, innocent of any crime besides that of being Palestinian and not Israeli, had not lived the lives they should have. Palestinian children walk by a damaged school in Gaza City, Nov. 24, 2012. We arrived at little Hala's house, situated in the al-Maghazi refugee camp, to be awakened to the stark reality of what the death of one little child meant. The camp is in close proximity to the Israeli border and is often a target of Israeli fire. We saw the side of Hala's house completely destroyed -- an entire home reduced to rubble within a minute. It was the middle of winter and freezing. I thought about the fact that the Abu Sbeikha family would have to deal not only with the cold left in their hearts by Hala's absence but by the harsh winters of Gaza as well that night, and for many more nights to come too undoubtedly. 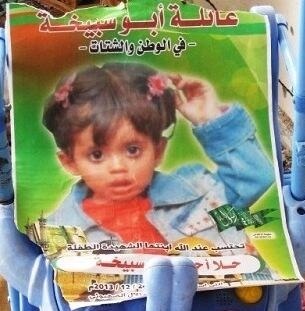 We stood in little Hala's garden where her blood was still evident on the bricks. As she had played innocently with her two other sisters, both of whom were in hospital with injuries as well, a piece of shrapnel penetrated her neck and stole her precious life. We met Hala's mother, whose strength as she held one of Hala's younger sisters was enough to move mountains. She stood there, the epitome of resilience and faith, representing what I would soon come to realize lay in the heart of every Gazan -- an unconquerable hope and steadfastness you will never find in another population in the world. We witnessed Hala's funeral procession, as the community of al-Maghazi did what seemed to have become something they were accustomed to -- laying a 3-and-a-half-year-old girl to rest amongst the olive groves. I wondered if the world would have been as silent as the atmosphere was in al-Maghazi that morning if Hala had been an American girl? Probably not. We drove past a school in a region called al-Fakhoora. During the Gaza massacre of 2008-9 many children slept over at this school, their parents thinking it would be a safe haven for their children. Little did they know that Israel's indiscriminate killing and targeting of a civilian population knew no bounds, and the very street outside the school where a group of children were playing football was bombed. Forty people were murdered instantly. It was surreal driving through the very street where the remnants of the world's silence and stench of hypocrisy towards the people of Gaza was so evident. 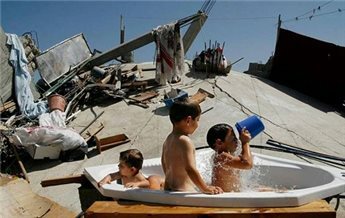 Sometimes, surviving the onslaught from Israel is not always the safer option for the children of Gaza. "There is a significant deterioration in the psychological well-being of Palestinian children who are living in the Gaza Strip, especially after the recent war," Ayesha Samour, director of the Psychiatric Hospital in Gaza, told IRIN. According to a study by NGO Ard al-Insan, 73 percent of Gaza children are still suffering from psychological and behavioral disorders, including psychological trauma, nightmares, involuntary urination, high blood pressure and diabetes. Samour said children in Gaza were being denied a normal childhood because of the insecurity and instability in their environment. He said a culture of violence and death had pervaded their mentalities, making them angrier and more aggressive. This was the sad, yet real, beginning of our trip to Gaza. We knew all about the fuel shortages present in Gaza due to restrictions on goods and basic amenities imposed on the 1.8 million-strong population. While we were there the reality of it all became apparent. We arrived in Gaza in the evening, having been held on the Egyptian side of the Rafah crossing for four hours. Gaza was in total darkness. The intensity of the desert darkness was so extreme that you could barely see your hand in front of you. On our arrival each household was receiving only six hours of electricity a day, and by the time we left eight days later, this had been further reduced to just four hours. What did these numbers mean? If electricity was restored at 2 a.m., mothers had to wake up at two in the morning to complete their household chores. Because of the northern winter sunset at 5 p.m., households were plunged into complete darkness for the rest of the night -- forcing families to do whatever they could by candlelight. It meant students, who were busy with exams when we were in Gaza, had to study by candlelight or whatever other means necessary and yet they still persevered. It also meant more deaths, and we were shocked to hear of the death of a 6-year-old girl due to smoke inhalation while we were there. Gaza is not about numbers -- it is about the humans living there. It is about the real struggles they face every day. The real truth is that they have to bury their children and survive under abnormal conditions being starved of amenities which the rest of the world takes for granted. Through all this, it is the warmth of their hearts, the unbelievable strength of their spirits, and the unrelenting desire to live that moved me the most. The democratically elected government, Hamas, rules Gaza in the best possible way that they can. Creating the most amenable living conditions for their citizens is obviously their primary concern, implementing laws to make living for the besieged population as liveable as is humanly possible under the severest siege environments. Although five years have passed after Israel’s 2008-2009 aggression under so-called Operation Cast Lead, Palestinians in Gaza have yet to collect their pieces. Still they remember the very scenes of the 22-day-long war which brunt didn’t spare humans, stones, or even trees. 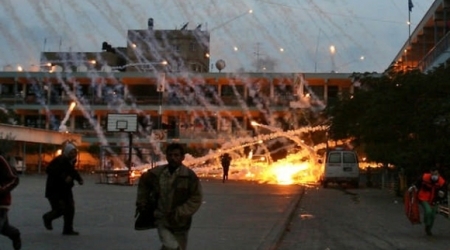 On this day five years ago, the Israeli warplanes rained while phosphorus bombs on a Gaza school run by the United Nations Relief and Works Agency for Palestine Refugees. leaving 41 Palestinians dead and many injured with different levels of body burns, while many others were infected with physical disabilities. Since then, the Al Fakhoora school, which lies in Jabaliya refugee camp in northern Gaza Strip remained a witness to Israel’s inhuman violence for the huge amount of bombs used against this civilian facility and the people inside. The incident also stands as a witness to Israel’s arbitrariness, as it didn’t mind that the UNRWA informed the Israel Defense Forces of the coordinates of all of the schools it’s running to avoid being targeted. Iyad Abu Askar, whose home was targeted in the shelling describes to ALRAY reporter that day as “gloomy”. The shelling led to the killing of my brother, Khaled, 21, Imad, 16, and my cousin aged 28, Iyad said. “I couldn’t bear seeing my brother Khaled with the shrapnel sweeping his body and my cousin with his torn apart leg and bleeding neck,” he followed. Fayez Quddas, who was injured in the bombing, recounts to ALRAY “the was raging while were living a state of horror from Israel’s unguided strikes,” he said. “I feel that pain every day. I am now disabled as a result of pieces of shrapnel that hit my left leg and right side,” he said. At approximately 3:30 on the afternoon of Tuesday, January 6, 2009, the Israeli artillery targeted Al Fakhoora UN school in the Jabalya refugee camp in northern Gaza Strip with three shells that landed on the school and its environs. The shell remnants led to the death of more than 42 people, including 14 children. One of the shells landed on the home of Deeb family, killing 10 of its members, including 4 children. The Al Fakhoora school was not a safe haven to the 1.800 terrified people of the Jabalya refugee camp who fled to it fearing their unprotected homes.